Secular Pro-Life Perspectives: Want to "live and let live"? Then don't support abortion. Want to "live and let live"? Then don't support abortion. Rubin believes abortion should remain legal. His rationale is that women have a right to control their bodies—a concept most pro-lifers support. Their problem with abortion? It destroys someone else’s body. And although Mr. Rubin may not agree with that, the facts do. He should really take a look at them. 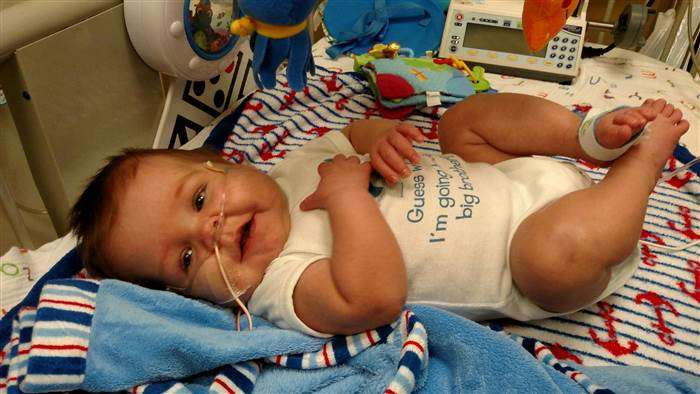 That’s Trevor Frolek, and he was delivered at 23 weeks. I suspect Rubin would concede Trevor was a distinct individual by the time his mother went into labor; wouldn’t that have still been true if she had aborted him instead? The ability to independently suffer pain stems from having a separate neural system, but proof that a fetus is an individual doesn’t end there. While Rubin has referred to a first-trimester fetus as “cosmic stew,” that “stew” has a developing set of fingerprints at 12 weeks and an observable heartbeat at 6 weeks. A preborn child also has a unique DNA profile. When does that develop? Dave Rubin is a big fan of choice and personal freedom, and there are a number of ways he can promote those things. For example, he could publicize how abortion isn’t the only alternative to parenting: couples seeking to adopt outnumber available infants, and you can find plenty of waiting families online. He could also point out that Planned Parenthood has a history of hiding abuse and exploitation, which is part of why its funding should should go to federally qualified health centers instead. Both would be consistent with his “live and let live” mantra. But denying reality and ignoring how abortion ends a life? Sorry Dave, but that just doesn’t fit.